Our close proximity to all neighbouring towns, including Purley, Wallington and Sutton, makes it simple for our clients to visit us for fittings, adjustments and our full range of supporting services. Toni Bridal can supply designer bridal dresses and we can also provide complementing dresses for bridesmaids. 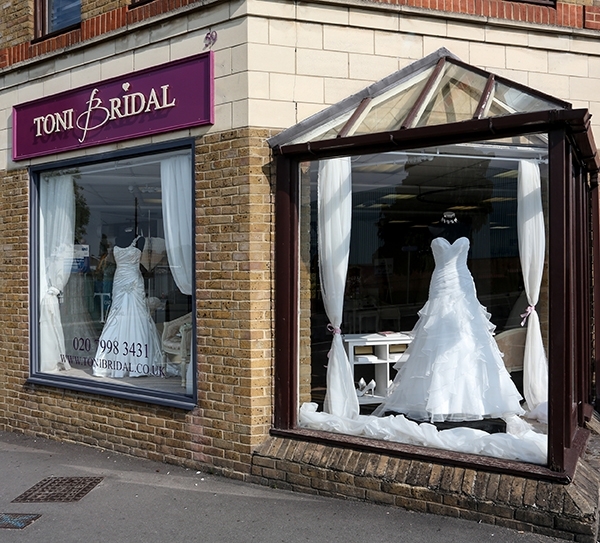 Don’t forget that Toni Bridal is one of the only wedding shops in the Hackbridge and surrounding Surrey areas to specialise in traditional Chinese gowns. We stock a delightful collection of Kwa and Qipao gowns that are truly elegant and perfectly suited for wear on all special occasions.